When PM Recovery Inc. was looking for an IT provider who could build a technology infrastructure with efficient communications among their offices in Harrison, New York, Greenville, Pennsylvania, and Wheatland, Pennsylvania, they called Citadel Blue. Citadel Blue, Inc., is a full-service Stamford IT support firm that provides Managed Information Services and Support that combines security, stability and innovation to deliver the highest standards possible for their clients. PM Recovery Inc., a metal recycling and manufacturing company was working with another IT company who was impossible to reach during the day, or even the next day. At the time, PM Recovery Inc., had two separate locations in New York and Pennsylvania, but later acquired additional locations in Pennsylvania, Connecticut, Texas, Oregon and Northern Connecticut. They desperately needed a reliable, trustworthy IT provider who could build an IT infrastructure that allowed for efficient communication and resource access among their sites, and set up redundancies to prevent downtime. Citadel Blue, Inc. implemented a new ERP (Enterprise Resource Planning) solution and set up the necessary redundancies to prevent downtime. In addition, they installed and deployed Dell and HP servers, and Lenovo laptops/desktops. They worked with PM Recovery’s management team to identify and correct existing inefficiencies, and ultimately helped them integrate systems during merger & acquisition activities. Citadel Blue worked with various vendors to implement and integrate an enterprise-class phone system (NEC SV8100) as well. To ensure the security of PM Recovery’s network and servers, Citadel Blue deployed SonicWALL UTM appliances and Threat Track Anti-Virus software. Citadel Blue is now fully integrated into PM Recovery’s operations, resolving potential issues and correcting the few that do occur. In addition, they advise staff and management on best practices that allow PM to utilize available technology to advance their business goals. Since Citadel we’ve had very little downtime; at most we shut down for only two minutes. They keep us running, and whenever there is a problem. Citadel is “always available ” Tina explained. 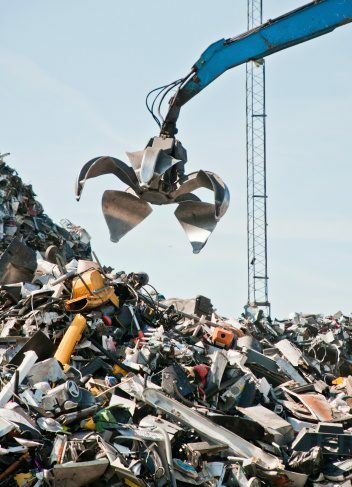 PM Recovery, a direct processor of high-temperature, non-ferrous base metal containing secondary materials, provides manufacturers that generate these residuals with the highest standard of environmentally responsible processing, recylcling and reuse pathways. Since 1978, our customers have depended on PM Recovery for regulatory compliance, and complete visibility of the entire process and an unsurpassed level of dedicated service and environmental integrity. Citadel Blue was created to provide Managed Information Services that combine stability, security, and innovation to deliver the highest standard for our clients. We are a full service IT firm, complete with Managed Services, Consulting, Integration, Software as a Service, Hardware as a Service, and more. Information Technology assets and services can be force multipliers for any business; we combine some of the best industry experts and partners in furtherance of that goal.